Who takes a flight to catch a movie? 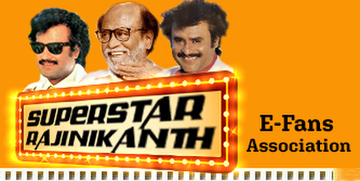 Well, if you are a fan of India's Tamil cinema superstar, Rajinikanth, you might. 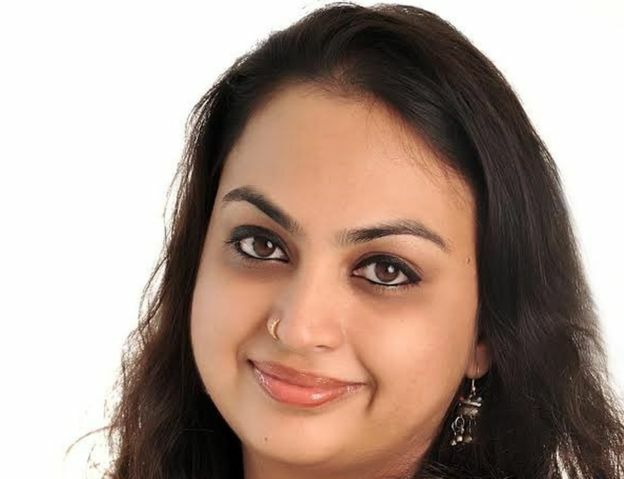 Take, for example, Smitha Sarma Ranganathan, who will board a special flight organised by budget carrier Air Asia along with 180 other fans on 15 July, the day Rajinikanth's new film Kabali releases. She will pay a return fare of 7,860 rupees ($116; £79) to fly from Bangalore to Chennai to watch the "first day, first show" of the film at a Chennai theatre, pick up movie merchandise and return home after lunch. "The raw passion of a Rajini movie is something you can feel only in Chennai," says Ms Ranganathan, a 36-year-old brand communication specialist. 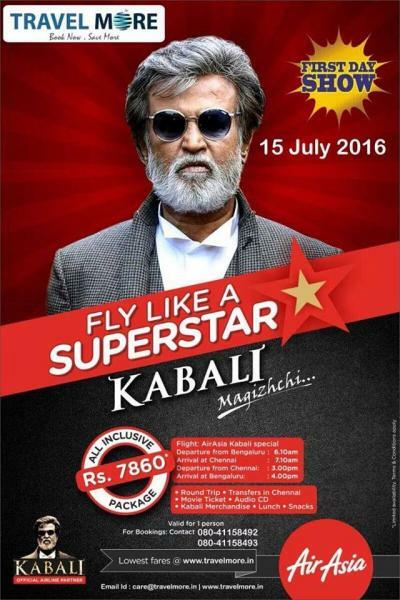 The special flight carrying Rajinikanth fans to watch his latest film has caused a buzz in the Tamil film industry. "But it would make more sense if they could do something Rajini specific. Like having breakfast with him or watching Kabali with the star. The flight idea is basically whipping up Rajini hysteria and making you a part of it," says Suresh Babu, who produced an earlier film featuring the star. Chennai is home to India's thriving Tamil film industry - and Rajinikanth has been its reigning superstar for as long as one can remember. In a career spanning four decades, the 65-year-old actor has starred in over 170 films, most of them in Tamil language. One of Asia's highest paid actors, Rajinikanth is considered one of the most bankable stars in India: even before its release, Kabali, a gangster drama, has raked in some $30m (£20m) in film rights sales. It will also be dubbed in Telugu, Hindi and Malay. Rajinikanth enjoys a fan following that cuts across generations and even continents. His 1995 comedy drama Muthu was dubbed in Japanese and became a hit in the country. Ms Ranganathan's first brush with Rajinikanth was in 1999 when she saw his Padayappa at a small theatre in Tirunelveli town. "People threw coins on the screen, when Rajinikanth hit the screen for the first time. I was shocked to see that kind of a reaction to a hero," she recalls. Borrowing DVDs from friends, she devoured all Rajinikanth's movies, starting from his black and white films in the 1970s. "In fact, when I was in labour in 2003 for my son, I de-stressed by watching three back-to-back Rajinikanth comedies - Arunachalam, Muthu and Guru Sishyan," she chuckles. In Chennai, Rajinikanth's fans celebrate the day his movie releases like a major festival. His films get grand openings, and usually perform well at the box office. When they don't do well - like Baba in 2002 and Lingaa in 2014 - Rajinikanth compensates distributors by paying them out of his pocket. There is a great deal of anticipation for Kabali where the actor is playing an ageing don. The Kabali teaser has been viewed more than 22 million times so far. "What is Rajinikanth without gimmicks?" asks film critic L Ravichander. Before entering the film industry, Rajinikanth - whose real name is Sivaji Rao Gaekwad - worked as a conductor on Bangalore's bus number 10A in the early 1970s. Suresh Babu suggests that for the significant number of Rajini fans in Bangalore, it may be a good idea to run special buses transporting Rajinikanth fans to theatres screening Kabali. "Imagine travelling in 10A, with the conductor of the bus dressed up as Rajinikanth and ranting the punch line of the movie - Kabali vandutaan da [Kabali has arrived]."